How Does A Church Survive When Big Givers Leave?. 6. Every crisis time is reevaluation time. 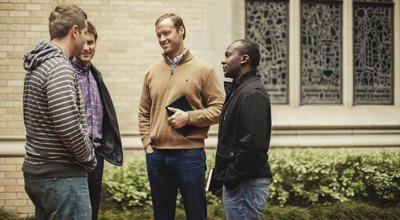 Take time with you church leaders to decide carefully the unique mission of your church. Perhaps it is time to change the question mostpastors ask. Instead of asking “how are we going to get people back to our church”… ask… “How are we going to get our church back to the people?” Figure out how to get there. 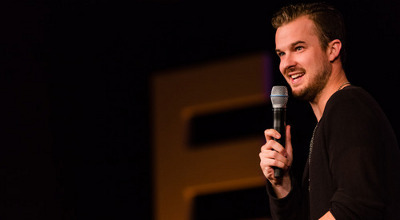 5 Mistakes We Make in Our Sermons. There are a multitude of mistakes that can be made in the delivery of a sermon. We can proof-text an idea or completely miss the point of a passage altogether. For the purpose of this post, I will not address the content of your expository work. Instead, I want to address the stuff that surrounds it and can help people hear the core of your message better. Here are five mistakes that we make and some encouragement about how to fix them. 1. Not preparing the introduction. A common mistake is to craft a great message and a great conclusion but stumble to get it all started. Oftentimes, we want to leave room to transition the congregation from the worship music we’ve been singing into the sermon. It is a good idea, so work with your worship leader to plan it out. Many of us have a standard opening that the church is accustomed to hearing and that works as well. Whatever is your comfort level, plan out something so that you are not fumbling with notes and searching for a transition in the moment. 2. Poorly planned illustrations. An illustration is only as great as its delivery. We’ve all found a great story or illustration, thought about it for a few moments, and written it into our notes. The problem is that we never thought about it again until the moment it needed to be said out loud in the sermon. With every illustration, you need to practice the delivery. Illustrations normally have a pivot point where you take people from the illustration to how it helps them apply the scriptural truth to their lives. Make sure you verbally work your way through it in your preparation. 3. Allowing your voice to fry. Recently, I had my voice go out on me about two-thirds of the way through my sermon. It is awful. I felt it coming on, and there was nothing I could do about it. But there is a way around it. Warm up your voice before the service. Don’t strain your voice while singing. And, for me, a significant key is to begin my message with a conversational tone. Whenever I start out with an uptight, overly-excitable, on-the-verge-of-shouting tone, then my voice is not going to make it. So… calm down. 4. Uh. Well. You see. If filler words and phrases are not the lowest form of communication, then they are in a close second to grunting. As you review your messages (and you should review the audio of them each week), discover why you tend to use filler sounds like uh, umm, and well. Make sure you mentally prepare for the transitions between points so you are not forced to make a grunt while searching for a transitional statement. It will also help if you will limit the number of last-minute edits you make to your notes. If you will finalize your notes in time to do a verbal run-through during the week, it will limit your filler words. Finally, don’t be afraid of a moment of silence. You don’t want it to be awkward, but there is also no need to create a continuous onslaught of sound with no audio break for the entire message. 5. Asking insulting rhetorical questions. Any time a speaker says “Do you hear what I’m saying?” or “Do you understand what I mean?” then the fault is most likely with the speaker. Of course they hear you. You’re standing right there talking. Of course they understand what you are saying. They are reasonably intelligent people. As speakers, we normally use such phrases when we are not getting the feedback we’re hoping to receive. It is more of a sign of insecurity than anything. To counteract it, plan out your statements and rhetorical questions that will draw the church into discovery rather than push them toward a defensive posture. I am sure that there are many of verbal miscues that we make while delivering our messages. As I stated earlier, take time to listen to your messages each week. If your church does not record them, then use an app on your smart phone or a digital recorder. Preaching is a sacred and spiritual endeavor but that does not limit us from being disciplined in honing our craft. This article was used with permission from BibleStudyTools.com. Two Very Different Ways to Treat Sinners. There are basically two different ways we treat fellow sinners. We either act like self-appointed judges who, like the Pharisees, act out of our supposed self-righteousness, or we act like needy sinners who never step very far away from the cross and, therefore, like Jesus (who, unlike us, was not a sinner at all! ), are quick to dispense grace and forgiveness. To summarize it another way, we either live by the letter of the law, which kills the soul, or we live by the Spirit, which gives life (2 Cor 3:6). These two approaches are what we see in massive contrast in John’s account of the woman caught in adultery. The contrast is startling. Please stop here. Take two minutes to read John 8:1-11 before proceeding. In John’s example of the redeeming love and grace of Jesus we see the difference between treating people according to the letter of the law and treating them according to the Spirit. Here we see pompous leaders, who long to squash a sinful woman like a bug, contrasted alongside a Savior whose abundant grace pursues and ultimately restores her. The scribes and the Pharisees, the self-righteous religionists, drew public attention to the woman’s sin in order to bolster their own reputation as spiritual experts of the law. Their accusation, though true, was for the purpose of trapping Jesus. However, in order to do so they used the woman’s humiliation, public shame, and condemnation for their own self-serving purposes, not for the nurture and care of her broken soul. In short, these spiritual leaders thought first of judgment, but never of mercy, grace, or restorative love. But something unexpected happened. Jesus turned the tables on the “punishers” and they were caught in their own trap just as passages like Psalm 7:15-16 predict. When Jesus effectively turned the focus of the self-righteous leaders to their own guiltiness before God (that they too deserved death as violators of God’s law), they lost the grounds for their accusation and judgment of her. Jesus, on the other hand, pursued the sinner with grace—the kind of grace that first forgives and receives before instructing to live in holiness and obedience to God (2 Cor 5:15). Which of these two approaches describes us? Are we like the scribes and Pharisees who were quick to pronounce judgment on others and rid their life of offensive sinners who were beneath them? Or are we like Jesus who—without lowering God’s standard of holiness—reached out to sinners with patient grace? Have we forgotten that the ground is level at the foot of the cross? Do we recognize that no matter how long we’ve been a Christian we will never get to the point where we will have the “right” to condemn another? Are we daily conscious of the reality that there is only one who has the power to condemn and that it is not you or me? (Rom 8:34). Let’s get honest with ourselves. How do we treat fellow sinners, really? Can We Build the Church By Being Against the Church?. I’m reading a terrific book right on the centrality of the gospel by one of my favorite author/preacher/bloggers. It’s a book that is both challenging me and inspiring me. But even this favorite author can’t resist the easy stereotype of “most churches” or “most Christians” or “The Church is …” It seems nearly impossible for us to build up our ministries without having to use another expression of Christian ministry as a foil. I know this because I do this myself. In my forthcoming book, I spend a considerable time pushing back against the pressure to be perfect among 2nd-generation kids. I felt (and still feel) it was a legitimate criticism. And yet I wonder at our motives. Are we genuinely concerned about the perceived blind spot in this generation’s evangelical movement or are we simply trying to provoke so as to build our own tribes? Are we being truly prophetic or are we trying to position ourselves as more pure than our ministry brothers? But we could all do better at examining our motives and check our facts. Scoring cheap points in a message or blog post or book based on broad stereotypes of the Body of Christ is both intellectually lazy and it’s an insult to the Bride Christ loves. Every Leader Needs a God-Sized Ambition. Many leaders never achieve the level of influence they could potentially have because they drift through life on autopilot, maintaining the status quo, without a big ambition. They have no master plan, no big purpose, no dreams pulling them along. But if you’re going to be a great leader, you need to dream great dreams. When you stop dreaming, you start dying. If you have no goals, you have no growth. God put in your mind the ability to think great thoughts and dream great dreams and have great visions. When you’re stretching and growing and developing, you’re a healthy human being. We grow by being stretched. We grow by facing new challenges. In fact, I would say that if you’re not facing any challenges right now, you need to go find one quick. There are three common misconceptions that keep people from having a great ambition in life, and these are especially prevalent among pastors and Christian leaders. God wants you to be humble, but He does not want you to be fearful. And fear will prevent you from accomplishing meaningful things. Every leader is unique, with an individual makeup of spiritual gifts, passions, abilities, a unique personality and unique experiences. And God’s desire for how a leader will influence the world around them is closely tied to that uniqueness. But however God has uniquely shaped you, you need to desire all the influence He will grant you in your leadership so that you can make as large an impact as possible for the kingdom’s sake. Humility is not assuming that I can’t be a great leader and have a meaningful impact. That’s fear. And fear will strip us of our ability to do great, world-changing things. Humility is rightly understanding my identity as I am defined by my Creator and my relationship to Jesus. While fear holds us back, genuine humility propels us forward because we believe that we serve a really big God! On the other hand, if everybody used contentment as an excuse for laziness, who would work intentionally to build churches that reach people? Who would care about world hunger? Who would fight for justice and equality? We cannot confuse contentment and laziness. Some people use God as an excuse, and Satan is an expert at getting us to think small. There’s the old myth that quality is the opposite of quantity. Actually, they’re both important. In a ministry, you want to reach as many people for Christ as possible, and you want them to grow as deeply as possible. Don’t confuse little thinking with spirituality. I encourage you in your prayer life to start saying, “God, enlarge my impact.” We who serve a great God should have great expectations of what God can and wants to do in, around and through a surrendered leader. 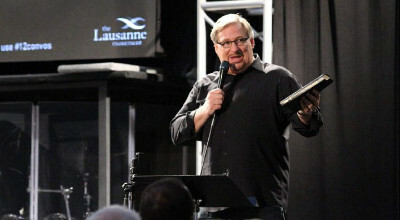 Rick Warren is the founding pastor of Saddleback Church in Lake Forest, Calif., one of America’s largest and most influential churches. 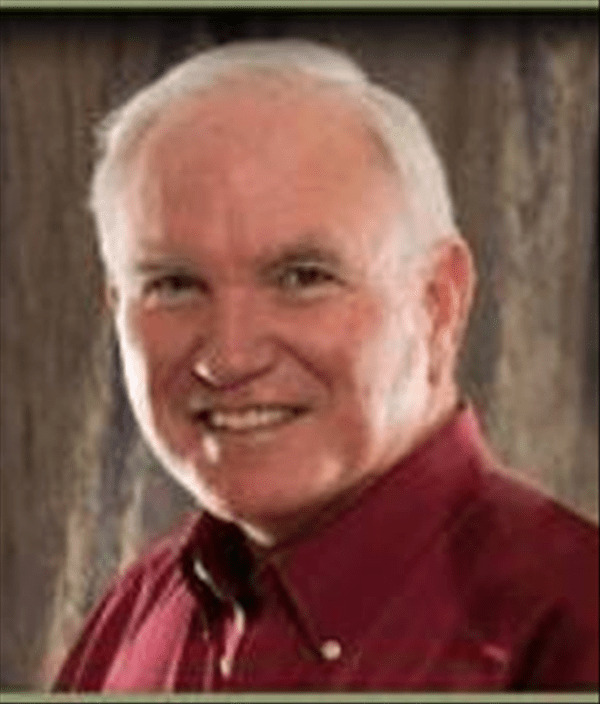 Rick is author of the New York Times best-seller The Purpose Driven Life. His book The Purpose Driven Church was named one of the 100 Christian books that changed the 20th century. He is also founder of Pastors.com, a global Internet community for pastors. 7 Lies Pastors Tend to Believe. My heart is for the pastor. Maybe it stems from the fact that I spent so many years as a layperson, a deacon and Sunday school teacher and, now, as a pastor. I realize now how much I didn’t understand about the position. The role has a lot more expectations and pressures than I previously imagined. I always loved and supported the pastor, but looking back, I wish I had been an even better pastor’s friend. One of the other realities, and it’s rather sobering to me, is how isolated many pastors feel from people in their congregation. Isolation almost always seems to lead to a misunderstanding of reality. 1. “I’ve got this.” The enemy loves it when we begin to think we have completely figured out life or ministry. He loves us to place total confidence in ourselves. Self-confidence, if unchecked, can lead to arrogance, a sense of superiority and a lack of dependence on God. 2. “That didn’t hurt.” Sometimes we pretend what the person said or did to us doesn’t hurt. We can even spiritualize it because we wear the “armor of God.” In reality, most pastors I know (this one included) have tender feelings at times—some days more than others. We are human. Maturity helps us process things faster, but we never outgrow a certain vulnerability when working with people. 3. “I’m above that.” If a pastor ever thinks, “That’s too small for me to be concerned about,” watch for the fireworks to begin. The devil will see some points he can put on the board. Equally dangerous, when we as pastors believe we are above temptation of any kind, we have the devil’s full attention. 4. “I’m in control.” It would be easy to dismiss this one with a strong spiritual response. Of course, Jesus is in control. Hopefully every Bible-believing pastor reading this “Amens” that truth. But how many times do we believe we have more authority than we really do—or should? Danger. 5. “I’m growing this church.” We must be careful not to take credit for what only God can do. I can’t imagine God would let this lie continue long without equally letting us “believe” (and experience) that we are responsible for declining this church. 6. “If I don’t do this, no one will.” We stifle the spiritual growth of others when we fail to let them use their spiritual gifts. Additionally, we deny the hand and foot their individual roles within the body. And, sadly, we often burn out ourselves and our family. 7. “I’ve got to protect my people.” I once had a pastor say he couldn’t allow “his” people to believe God still speaks to people today, other than through His Word, because there are too many “strange voices” out there. There are, and I believe the Bible is the main source of His communication, but God still speaks. If He doesn’t, let’s quit suggesting people pray about how much God wants them to give to the building fund. When we try to protect “our” people by keeping them from His provision, we make them our people and keep them from fully understanding they are really His children. Let us instead teach them how to know God more intimately and discern His direction. His sheep know His voice. I’m sure there are many other lies we can fall prey to as pastors. Exposing them can help us from being distracted by them and allow us to call on His strength to overcome them. Trading prayers for pastors as I type this post. What other lies have you seen pastors believe? 7 Ways to Gauge the Effectiveness of Your Local Church. Often evangelical leaders are under the false assumption a local church is doing well because they have good Sunday attendance, receive large amounts in tithes and offerings, and offer a plethora of programs for their church family. All these things are fine and important if done as part of a larger biblical context. Other important elements need to be part of the life of a local church in order for it to be an effective church. 1. The church must be a disciple-making church. Jesus never told us to merely win new converts but to make disciples of all the nations (Matt. 28:19). Years ago, we believers thought our main job was just to hand out gospel tracts and/or witness. Many people prayed the sinner’s prayer, but very few converted. An effective church not only draws crowds and has multiple decisions for Christ; it is, above all, a church that matures new converts into disciples. A disciple is a committed follower of Christ who also practices the spiritual disciplines of Bible reading, prayer, commitment to a local church, sharing their faith, and volunteering to serve both church and community. True disciples also disciple other people. When a local church has as little as a handful of such people, the results can be powerful! I have heard of some megachurches with several thousand Sunday attendees who barely have 100 people serving in the ministry. Their percentage of volunteers is less than 10 percent of the congregation! On the other hand, the effective church celebrates a culture of serving, giving, witnessing and spiritual formation so the majority of the congregation gravitates to this spiritual vortex and become disciples of Christ. We have too many Christians (a word only used twice in the New Testament) and not enough believers (an action word) or disciples (a committed student/follower of Christ). 2. The church must produce leaders. Every local church has a mandate to equip the saints for the work of the ministry (Eph. 4:11-12). These saints are to grow in their redemptive gifts (Rom. 12:4-8) and spiritual gifts (1 Cor. 12:4-11) and express their faith in love (1 Cor. 13:1-8), building their lives upon the foundation of Christ (1 Cor. 3:10-15). People like these usually rise to the top and become servant leaders of the flock. 3. The church must send out leaders to plant other churches and ministries. Many of those mentioned in the previous point become elders and deacons, and some eventually become fivefold ministers who are sent out of their church (Acts 13:1-2). Hence, an effective local church is not merely one that brings souls into the church but also sends many out of the church to multiply churches and transform culture. A church that is not sending out its best leaders is a church that is inwardly focused and can eventually become a swamp that stinks! Only as the church functions like a river that feeds (sends people) into the larger ocean of humanity will it remain healthy and life-giving. A church that is not a sending church will frustrate emerging leaders and/or discourage potential leaders from maximizing their potential. 4. The church must empower marketplace leaders. Church leaders are called to equip the saints for the work of the ministry, which, according to Ephesians 4:10-12, has to do with sending people out to fill the earth with the glory of God. This goes along with the cultural mandate of Genesis 1:28, in which God called His followers to influence all of culture. In order to influence all of culture, we need to equip and send out marketplace leaders to serve communities and build nations. The church that only emphasizes Sunday ministry or ministry within the four walls of the church is probably espousing a church culture in which only the professional clergy are honored and expected to minister. No matter how large these walled-in churches grow, the surrounding community is not positively affected. 5. The church should have community influence. Jesus called the church to be the salt of the earth and the light of the world (Matt. 5:13-16) and taught us to pray for His kingdom to come on earth as it is in heaven (Matt 6:6-9). That being said, our primary mission field is the earth, not the church! Our primary mandate is cultural influence (Gen. 1:28). Jesus told the church to disciple whole nations, not just individual converts (Matt. 28:19). The most effective churches are those in which the senior pastor is also the shepherd of its community and in which the congregation is encouraged to let their lights shine before (lost) people and help transform the community by loving it and serving it. Senior pastors of effective churches develop effective teams in which to process key leadership decisions and disseminate ministry functions. The larger the base of leaders, the more God can send to the church without the senior pastor burning out. Sometimes the senior pastor is the biggest hindrance to growth because his micromanaging style becomes the bottleneck that limits ministerial and leadership capacity! 7. The church must have a corporate ear to hear the voice of God. The effective church understands that its first ministry is to the Lord and not to men (Acts 13:1-2). Hence, its people spends much time in seasons of corporate fasting, prayer, worship and adoration. Like the church of Antioch in Acts 13, this kind of church will hear and be directed by the voice of the Lord. The amount of worship and prayer the typical church can engage in on Sunday is limited if we want to attract new people and evangelize. Thus, we should have other nights or times designed for the committed believers of the church to engage in elongated, intense prayer and worship, which gives God space to speak clearly. Churches not regularly engaged in this kind of spiritual discipline will often plan activities without God’s leading and then expect God to bless its endeavors. This wastes much time and causes people to operate without the grace and power of God, which also leaves leadership open to spiritual burnout and moral failure. In conclusion, there is much more that can be said, but starting off by focusing on these seven points can make a church incredibly effective and powerful for the glory of God!